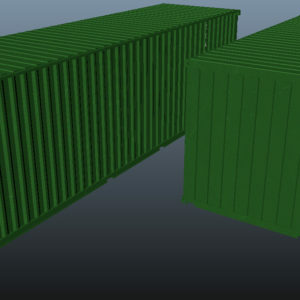 Shipping Cargo Containers Green 3D Model, low poly very detailed model created with great attention to details matching the real world shipping cargo containers used for construction and industrial. 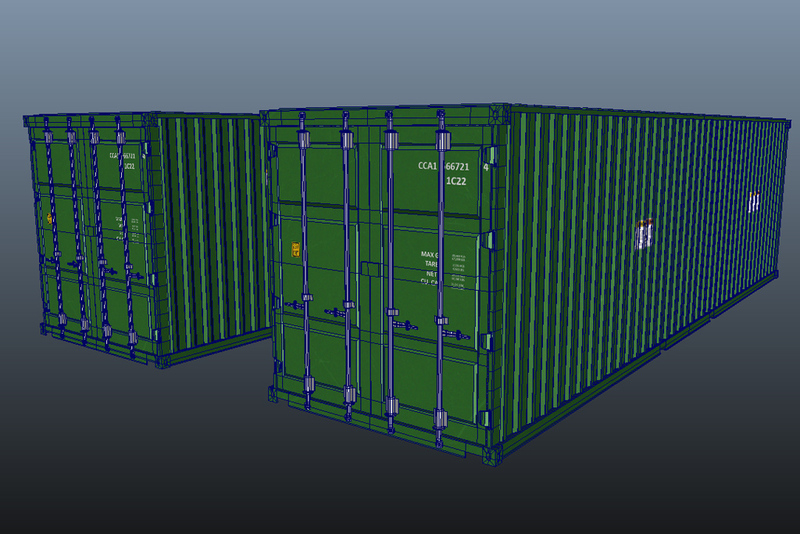 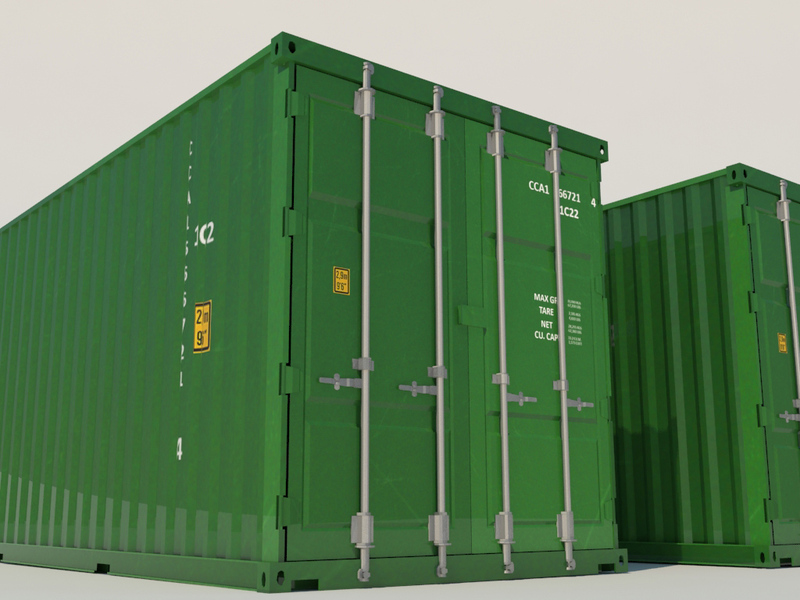 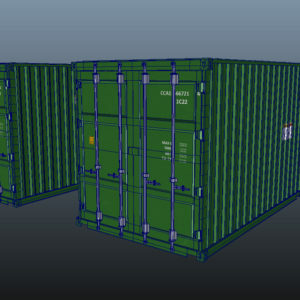 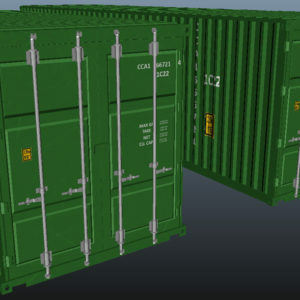 the zip file contains 2 different sizes shipping containers also it includes the following file formats “.3DS” “.MAX” .FBX” “.OBJ” files, the 3d model will work for games, architectural renderings and animations. 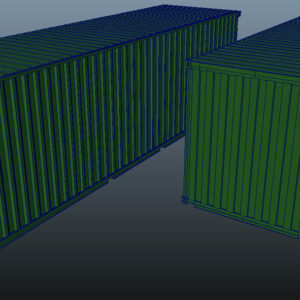 And any other software that can import “.MAX” .FBX” “.OBJ” “.3DS” files. 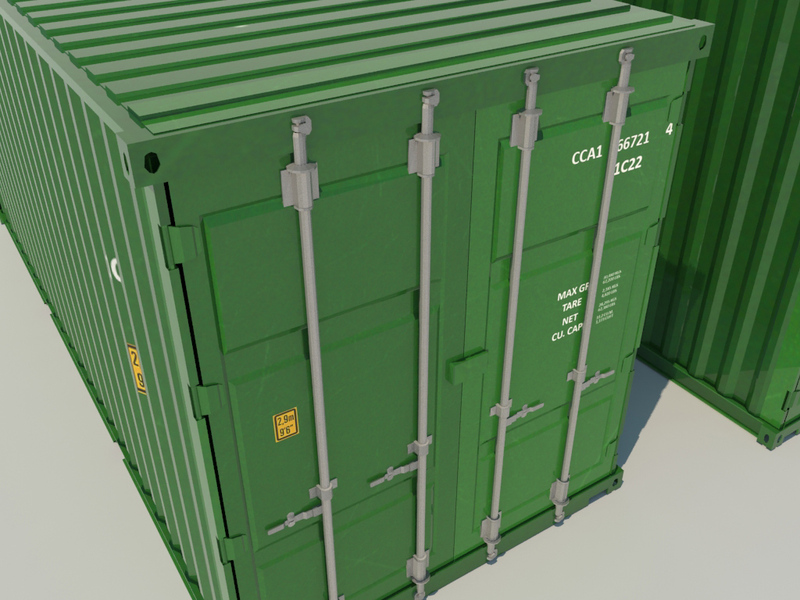 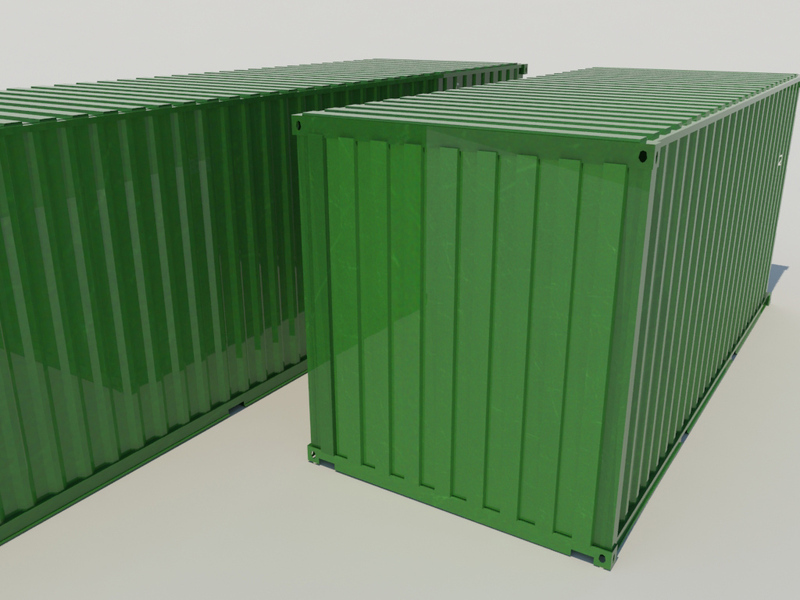 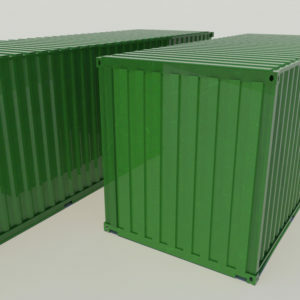 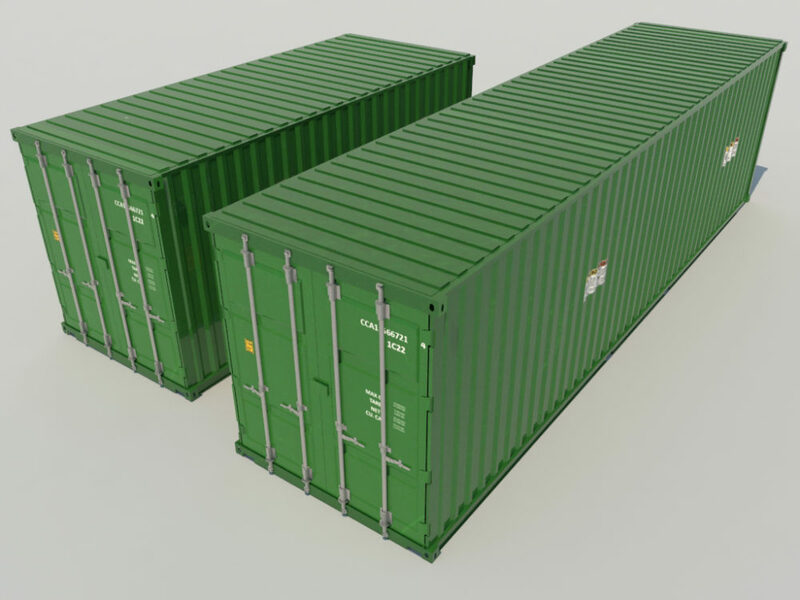 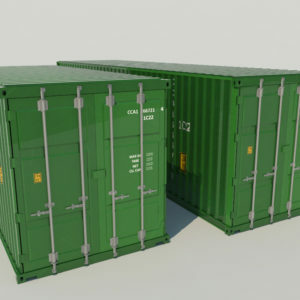 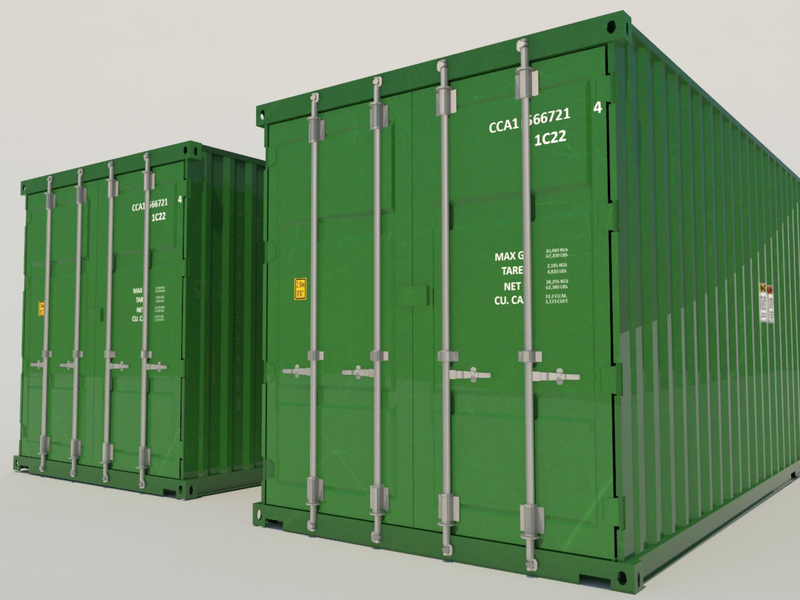 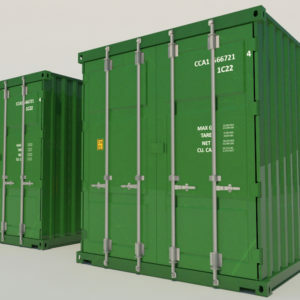 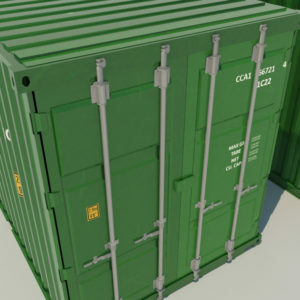 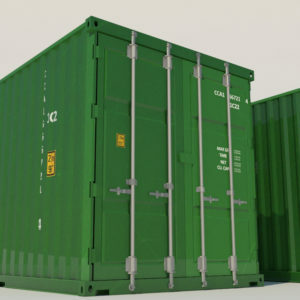 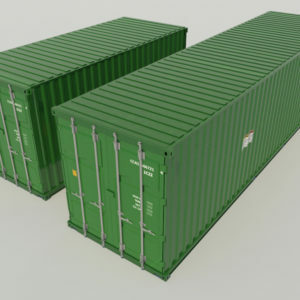 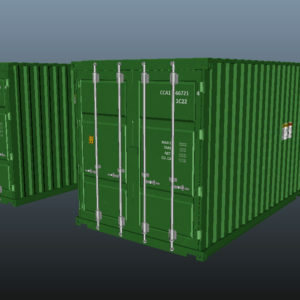 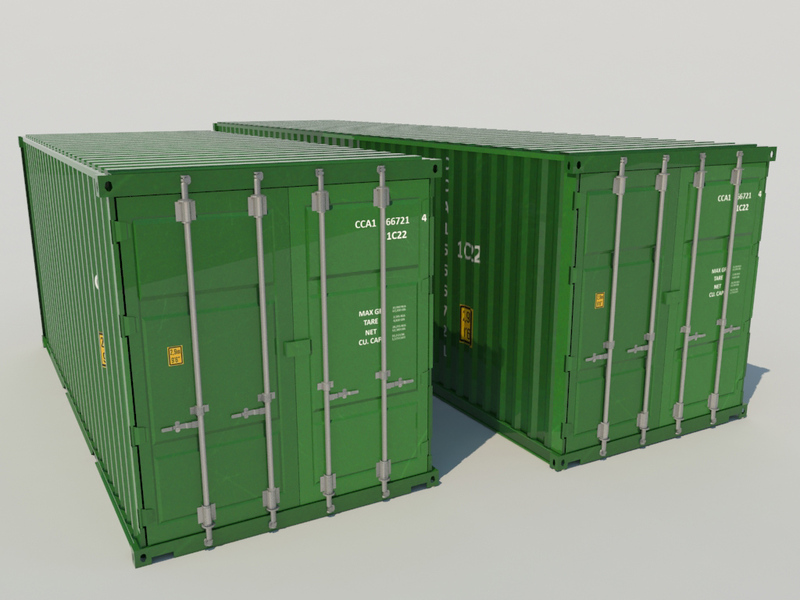 High detailed and realistic low to mid poly shipping cargo containers green color 3d model, very high resolution three 4K texture maps that will work well for close up renders, all the parts are optimized for renderings, this 3d model contain all the details matching the real world shipping cargo containers. 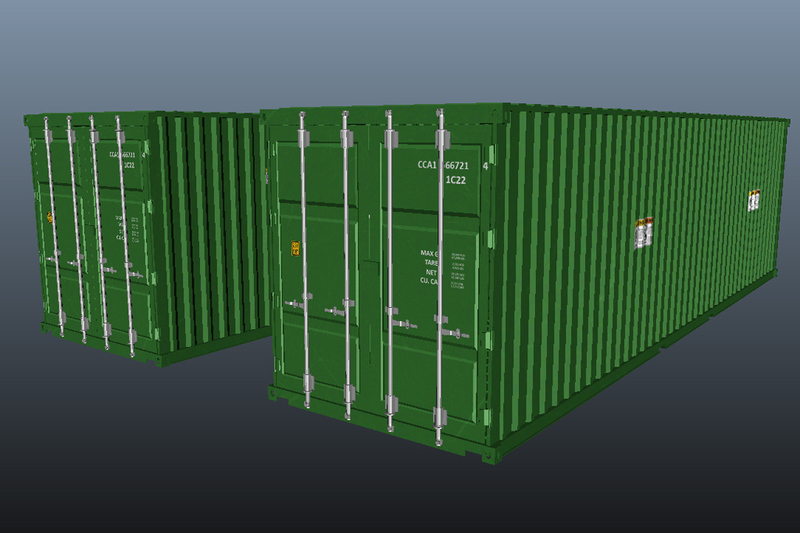 High quality low poly 3d model correctly matching the shipping cargo containers. 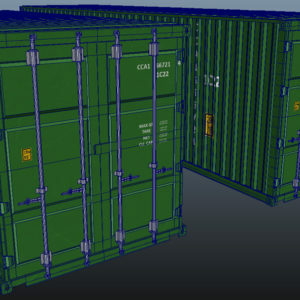 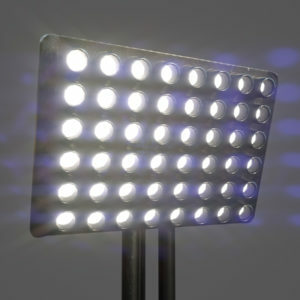 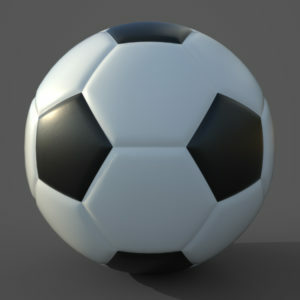 The model is optimized and modeled with high efficiency and attention to the edge flow for best rendering results. 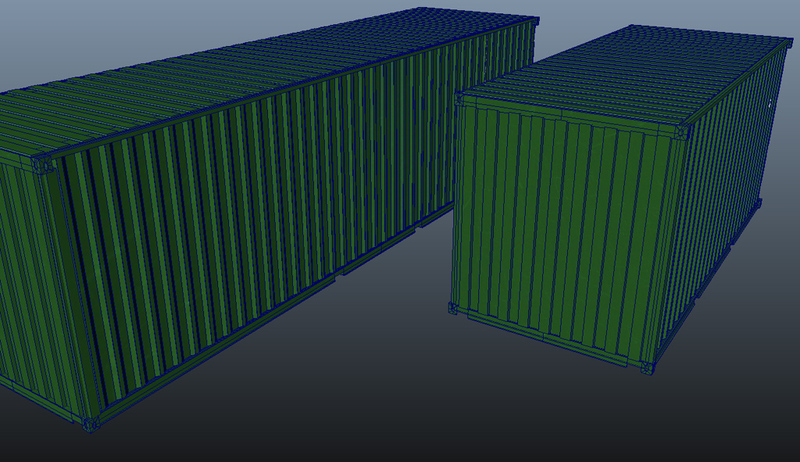 All the texture maps is included in the file. 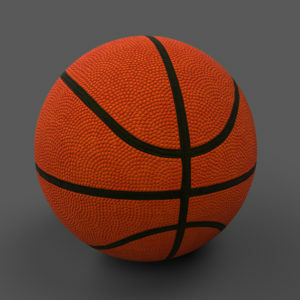 4K texture maps, 4K color map, 4K specular, 4K Gloss map map and 4K normal map. 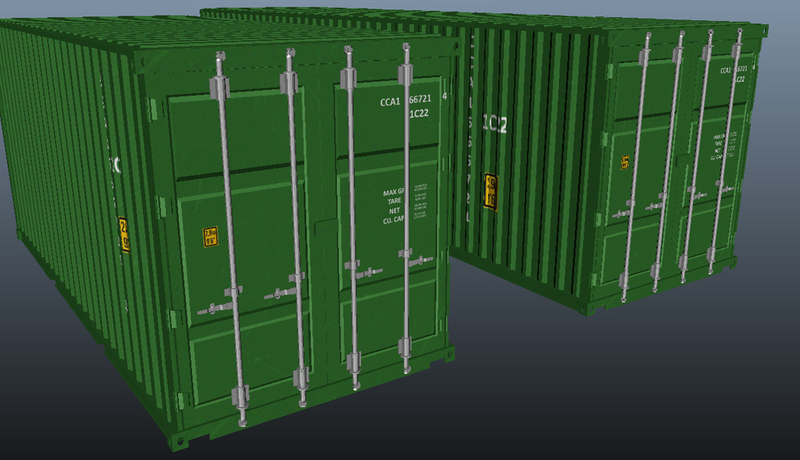 Everything is grouped and named correctly including the materials. 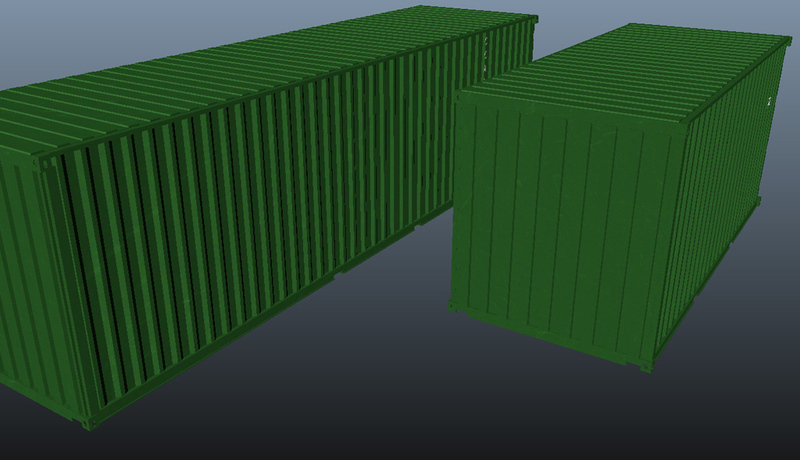 Everything is well organized for no confusion. 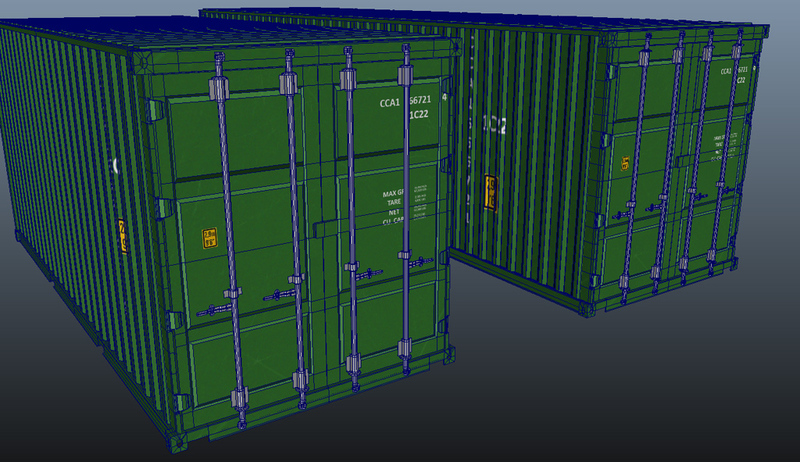 The model is ready to render immediately, no extra steps is necessary just import the scene and start rendering.